Flagship brand: An Airtel store. Bharti Telecom owns a little less than half of Bharti Airtel, India’s largest cellular services company. Minority shareholders of Bharti Telecom Ltd, the unlisted holding company of India’s largest mobile phone services firm Bharti Airtel Ltd, have received at least three separate offers from brokerages in the past three weeks to buy their shares. Bharti Airtel is the country’s third most valuable company by market capitalization. The offers, all made at a fraction of the price at which Bharti Telecom shares were nominally valued in previous deals between group promoter, the New Delhi-based Mittal family, and other investors, are being made at the behest of the company management, claim some of the minority shareholders. Both the Bharti group as well as the brokerages seeking to buy the shares deny that Bharti is behind the effort to mop up the shares. Bharti group is led by Sunil Mittal, who is also the president of trade group CII, or the Confederation of Indian Industry. The Bharti group’s apex holding firm, Bharti Enterprises Ltd, and other affiliates hold more than 70% in Bharti Telecom as per the shareholding pattern on 31 December 2006. Pastel Ltd, a unit of Singapore Telecommunications Ltd, held more than 26% in Bharti Telecom at that time. Meanwhile, a few thousand shareholders did not participate in the 1999 buyback offer. Around 4,400 of them still hold 395,262 shares, equivalent to a 1.98% stake in Bharti Telecom, according to a note issued by the company to its shareholders on 29 August 2006. Mint couldn’t independently ascertain if that number has since changed. 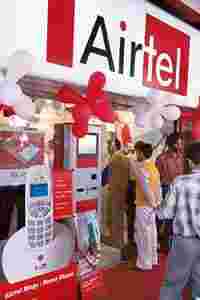 With Bharti Airtel’s rapidly rising market capitalization at around Rs1.98 trillion—its shares closed on Tuesday on BSE at Rs1,046 a share, a 52-week high—Bharti Telecom’s 45.33% stake in the largest Indian mobile phone service provider is valued at Rs89,722 crore. The number of outstanding Bharti Telecom shares, after converting some debt into equity in the current fiscal, is 21.77 million, valuing each nominally at Rs41,213 on Tuesday. But brokerages have recently begun offering between Rs2,000 and Rs3,700 for each Bharti Telecom share, according to seven different minority shareholders interviewed by Mint. Minority shareholders received a letter dated 19 September from Bharat Bhushan Share & Stock Brokers Ltd’s accounts manager, Satish Agarwal, offering to buy back the shares at Rs2,000 apiece. Bharat Bhushan brokers were contracted by Bharti Telecom to buy back the shares from the minority shareholders as its valuation is expected to rise further, says Manish, a shareholder from New Delhi, who requested his surname not be published. “We have the mandate of the company to buy these shares," was Agarwal’s response, says Manish. He and his wife together own 400 shares of Bharti Telecom. Another New Delhi-based minority shareholder said he checked with Bharat Bhushan brokers and got the same response. “They said they were authorized by the company, but they refused to pay by the company’s (Bharti Telecom) cheque," said the shareholder, who preferred not to be named. A representative of minority shareholders from Bangalore said that upon receiving the offer from Bharat Bhushan brokers, he called Bharti Telecom’s company secretary Rajendra Chopra. “He told me ‘there are people in Delhi who are buying the shares. If you are interested, then we will let you know. It is the only exit route option’," according to Kiran Kumar, whose father and brother own 100 shares each in Bharti Telecom. Chopra said he did not recollect the conversation with Kumar. “We have never said to anyone, ‘You should sell or not sell’. It is completely the individual’s decision," he said. A spokesperson for the Bharti group insisted that there was no arrangement by the company with any brokerage to mop up outstanding minority interest. “The company or its promoters have not appointed anybody to coordinate or buy back of shares on its behalf," the spokesperson said in an emailed response. “We have no comments to make on private transactions between willing buyers and sellers." Bharat Bhushan brokers’ promoter-director Vijay Bhushan also denies any link with Bharti Telecom. “I have not approached them (minority shareholders) on behalf of anybody related with the company," he said. The brokerage has not decided what to do with the shares it has offered to buy, he said, adding one option was to sell them at a higher price, if offered by a potential buyer. Bhushan’s firm is not the only one making the buyback offers. Shri Balaji Share Traders, another brokerage from New Delhi, had made some Bharti Telecom minority shareholders an offer of Rs2,100 for each of their shares on 5 September and, a day later, increased it to Rs3,600 a share after a Mumbai peer offered Rs3,500 on the shares. Shri Balalji Share Traders’ promoter said his motive was to profit from the offer and that his firm was not representing anybody. “If the company (Bharti Telecom) offers a higher price, we will sell it to the company," said Satish Mishra, the brokerage’s proprietor. And, “in case the company does not offer a higher price, we will sell it to another buyer". The minority shareholders that Mint talked to, meanwhile, are of the opinion that Bharti Telecom’s view on the stock they hold smacks of what they say was unfair behaviour in the past as well. The company made a buyback offer at Rs400 a share in May 2006, valuing their 1.98% stake then in Bharti Telecom at Rs15.81 crore. This proposal was made nearly eight months after Vodafone Group Plc., the world’s biggest mobile phone services firm, bought one-tenth of Bharti Airtel at Rs6,700 crore. Based on that deal alone, the minority Bharti Telecom shares would be indirectly valued at Rs601.35 crore—nearly 40 times the May 2006 offer. And, at Tuesday’s Bharti Airtel closing price, that stake is potentially valued at Rs1,629 crore. “All we want from the company is the exit opportunity to minority shareholders at the right price," said Ashish Shah, a minority shareholder from Mumbai, who is also head of institutional sales at Mumbai brokerage AC Choksi Share Brokers Pvt. Ltd.
Shah clarified he was talking in a personal capaciy. One securities market expert said there were no regulatory or legal issues at stake. “But there is a new breed of greedy or smart investors, which likes to hold on to such (delisted) shares to get dividend, bonus and rights (shares)," said Prithvi Haldea, managing director of Prime Database, which tracks capital raisings in India. “Such investors realize that a company that has gone for a delisting will not want a single outstanding share out there and will eventually want to buy them out." Many minority shareholders didn’t turn in their Bharti Telecom shares at the time of delisting in 1999 expecting an appreciation as the company grew its cellular telecom business, Shah added. That would appear to be standard practice in India where some minority shareholders do not sell their shares at the time of a company’s delisting. Spencer & Co., part of the RPG Group, has some minority shareholders who did not turn in their shares when the company delisted. And DLF Ltd’s initial public offering had to be put off (it eventually went through this year) because of a conflict with minority shareholders who had not turned their shares in when the company delisted almost four years ago. Bharti Telecom is not offering “minority shareholders the right price to exit", insists Amit Agarwal, a minority shareholder from Ludhiana. “When the promoters are offloading their own stake, they are charging a premium to the market value they get (on account of their) Bharti Airtel shares." New Delhi broker Ashok Mehta, who says he owns 100 Bharti Telecom shares, is trying to form a group—Association of Small Shareholders of Bharti Telecom Ltd—from among the company’s minority shareholders for the last four months and says he has signed on 200 such shareholders. “We are negotiating with the company management (for a better price)," claims Mehta.